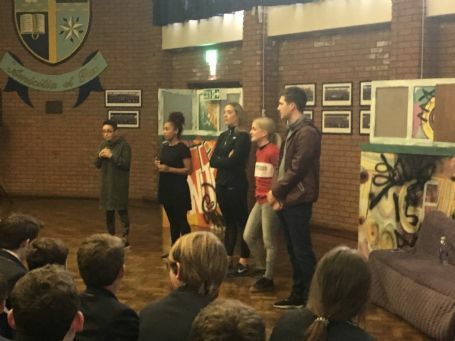 Years 9 & 10 attended a performance by ‘Terriers’ drama group linked to the Royal Court Theatre. The students in previous years had seen how gangs can manipulate and control individuals which led to the students asking questions. This play focussed upon the issues surrounding grooming and exploitation practised by gangs. The play was powerful and thought provoking as the students watched the exploitation of the character Eve and the negative impact it had upon her life. A difficult topic expertly delivered by the ‘Terriers’.